Judge Davis is my friend. I have known him for many years and think I know his views. I am certain that no plot or movement against Lovejoy’s re-nomination was led on by him, or that he was cognizant to anything of the kind, though he has some friends who were opposed to him, but he is not responsibility for their opinions. That charge that he has no sympathy for the vitalizing principle of Republicanism is based on your own radical and progressive views, as advanced in the editorials of the TRIBUNE. I believe he did not vote for Lovejoy in 1856; but I do not believe he tried to keep a single other vote from him. That he feigned sickness and lay at his rooms to have voters brought to him and persuaded to vote against Lovejoy, is certainly an untruth, and gains no credence in this community. Indeed it is not one of his characteristics to feign anything. As to the approaching canvass, Judge Davis expects Lovejoy to be nominated, and intends to vote for him, and has so stated without hesitation or reserve. He does not pretend to conceal his preference for another candidate, not himself as insinuated by ‘Fair Play;’ but this is his undoubted right and privilege. 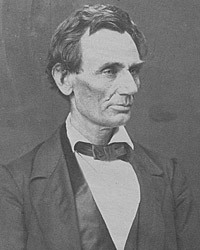 Lincoln’s unity efforts had limited effect – although Davis wrote that he was “much obliged” for Mr. Lincoln’s letter to the Tribune.13 Dickey, alienated by Lovejoy and by Lincoln’s 1858 nominating speech in Springfield, duly defected to Douglas. 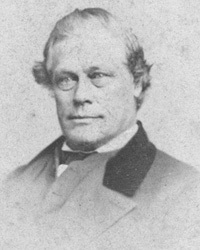 Dickey even obtained for Senator Douglas the endorsement of John J. Crittenden, an old-line Whig senator from Kentucky, and waited until just before the election to release it to devastating effect on Lincoln’s candidacy. While Dickey defected, Lovejoy eventually turned into one of President Lincoln’s closest supporters in the House of Representatives – and a much less demanding and more loyal friend than those political allies who had been closer to attorney Lincoln in the 1850s. William Lee Miller, Lincoln’s Virtues, p. 318. Roy P. Basler, editor, The Collected Works of Abraham Lincoln, Volume II, p. 316 (Letter to Owen Lovejoy, August 11, 1855). Henry C. Whitney, Life on the Circuit, p. 382-383. Michael Burlingame, The Inner World of Abraham Lincoln, p. 154. Douglas L. Wilson and Rodney O. Davis, editor, Herndon’s Informants, p. 643 (Henry C. Whitney letter to Jesse W. Weik, September 17, 1887). Paul M. Angle, editor, “The Recollections of William Pitt Kellogg”, The Abraham Lincoln Quarterly, Volume III, No. 7, September 1945, p. 326. Willard L. King, Lincoln’s Manager, David Davis, p. 117. Roy P. Basler, editor, The Collected Works of Abraham Lincoln, Volume II, p. 458-459 (Letter to Ward Hill Lamon, June 11, 1858). Roy P. Basler, editor, The Collected Works of Abraham Lincoln, First Supplement, p. 32 (Letter to Chicago Tribune). Willard L. King, Lincoln’s Manager, David Davis, p. 120. Michael Burlingame, editor, An Oral History of Abraham Lincoln: John G. Nicolay’s Interviews and Essays, p. 48 (Conversation with T. Lyle Dickey, October 20, 1876). Letter from Gustave P. Koerner to Abraham Lincoln, August 22, 1860 Abraham Lincoln Papers at the Library of Congress. Transcribed and Annotated by the Lincoln Studies Center, Knox College. Galesburg, Illinois.